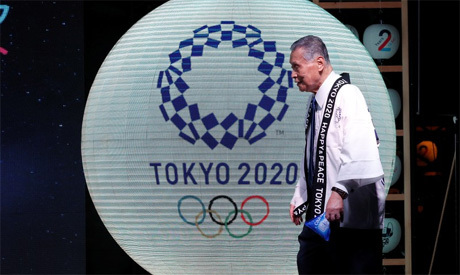 The Australian Olympic Committee (AOC) has hit out at funding cuts to minor sports announced on Monday, saying they would create "enormous problems" for planning and budgeting ahead of the 2020 Tokyo Games. The government-funded Australian Institute of Sport (AIS) announced a new investment model which will boost high performance funds for a number of sports but cut funding to others deemed to have lower medal-winning chances. AOC Chief Executive Matt Carroll said that athletes' preparations could be hampered by financial concerns. "Sports that are lifting performance through well thought-out strategic plans, employing coaches and driving improvement in their systems have found themselves abandoned or facing great uncertainty," Carroll said in a statement. "It would be naive to think that high performance athletes can enjoy their best preparation when there is financial pressure on coaching, programs, competitions and rising costs." The AIS said in a statement on Monday that "a small number" of sports faced funding cuts after June 2019. "Having advised these sports and organizations about our funding decisions, we are giving them time to digest the information and advise their athletes and stakeholders before public announcements are made," AIS Director Peter Conde said. "We are confident that these changes will not impact on Olympic or Paralympic podium success." Australia's national table tennis federation confirmed its funding had been cut. "The AIS has determined that, relative to other sports, they consider table tennis has a low probability to win a medal at the 2020 Olympic Games, or win a gold medal at the 2022 Commonwealth Games," Table Tennis Australia said. Local media reported that synchronized swimming had also had its program cut. Federation Synchro Australia was unable to provide immediate comment. The investment shakeup boosts funding for 12 high performance programs from 2019 including women's soccer, rugby sevens and women's softball, the AIS said. The Olympic Winter Institute of Australia will get an increase of almost A$2.3 million ($1.67 million) over the next two years in a boost for winter sports, while there will also be increases for para-winter sport and para-athletics. "We will certainly continue to support Australian athletes to provide the best chance of international podium success, but the emphasis will be on the number of Australian medalists across a breadth of sports," said Conde. Sports funding has become an increasingly contentious issue in Australia, which the country slumping to its lowest medals haul in 24 years at the 2016 Rio Olympics. Disagreements over funding models sparked a public feud last year between AOC President John Coates and John Wylie, chairman of government funding agency Sport Australia.